The Association of Legal Administrators (ALA) was formed in 1971 to provide support to professionals involved in the management of law firms, corporate legal departments and government legal agencies. ALA provides educational opportunities and services to more than 10,000 members representing more than 6,900 employers in 30 countries. 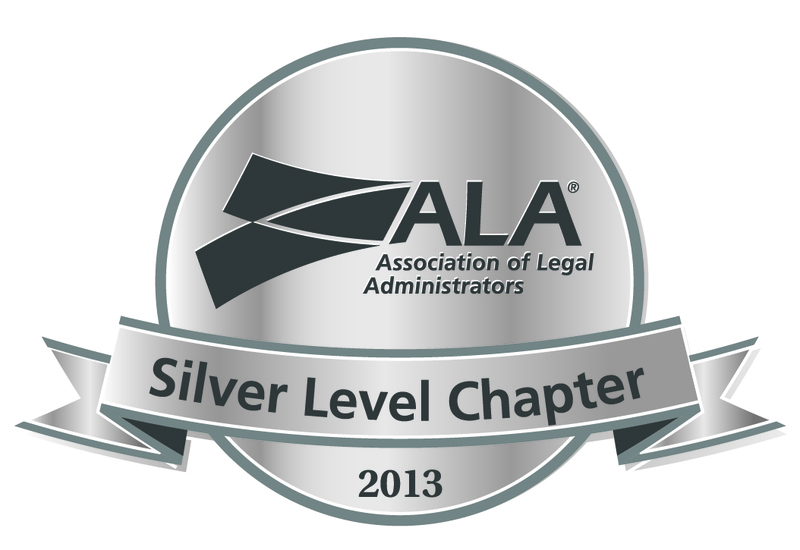 ALA is structured into six regions equal to 100 chapters in the United States, Puerto Rico, Canada, and New Zealand. The Sacramento Valley Association of Legal Administrators is part of ALA’s Region 6, and shares ALA’s mission and goals. For more information, please explore ALA’s website at www.alanet.org. Develop and deliver programs and products that will provide high-quality, competency-based education to members of the legal management team. Improve and strengthen the flow of information to and from the members. 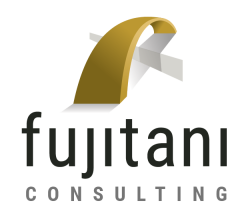 Enhance the services and benefits available to members. Increase the visibility and credibility of the Association of Legal Administrators and its members in the legal community through effective marketing and communications, and through partnering efforts with the bar and other law-related associations. Retain and recruit members from all components of the legal management team. Maintain the Association’s strong economic base. Increase diversity in the Association, in the legal management community and in all legal service organizations. Promote and continue an organizational structure which clearly and effectively allocates the policy and operational roles and responsibilities of volunteers and staff through Governance Policies that ensure that organizational resources are best-used to achieve the Association’s Mission and Goals. The legal profession and business must adhere to high ethical standards to maintain public trust. The ALA Code of Professional Ethics was adopted in 1991. In 2010, the ALA adopted Code of Professional Responsibility, which encompasses the spirit of the previous code and prformance objectiveds and reflects legal administrators’ professional responsibilities in today’s profession. 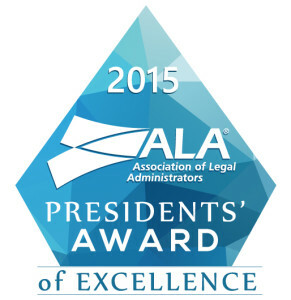 Each year, ALA recognizes exemplary chapters for their efforts in effective management. Chapters must track their demonstrated efforts in the following categories: effective chapter management; communications; professional development; recruitment and retention; and miscellaneous chapter activities. 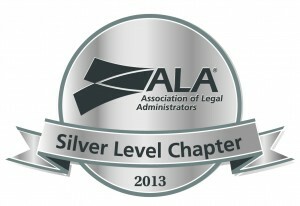 For 2013, the Sacramento Valley Chapter earned the “Silver” award, indicating our chapter’s successful commitment to effectively carrying out ALA’s mission and goals. For 2015, 2016 and 2017, the Sacramento Valley Chapter earned the President’s Award of Excellence, indicating our chapter’s successful collaborative action in support of ALA’s mission to promote and enhance the competence and professionalism of legal administrators and all members of the legal management team; improve the quality of management in law firms and other legal service organizations; and represent professional legal management and managers to the legal community and to the community at large.